Devin got to choose what was for dinner the other night and he requested Cowboy Tacos, a spicy sweet pork taco that I haven’t made in a long time. I thought I’d share the easy recipe with you today. You can easily double or triple or quadruple this recipe, which is what I had to do. It’s great for leftovers and snacks too. Heat the oil in a skillet and saute the onion for about 3 minutes over medium high heat. Take the 1/2 of the chipotle pepper (or more, or less… depends on how spicy you like it) and chop until it’s like a paste. 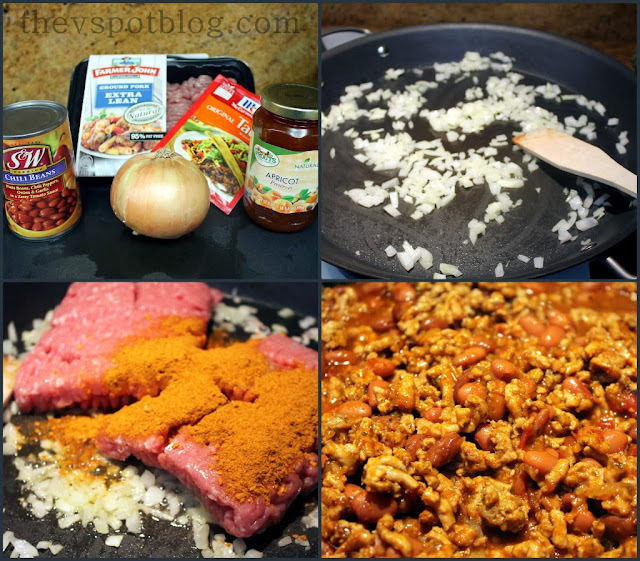 Incorporate it into the pork and bean mixture. Add in the apricot preserves and the salsa, mixing well. Cover and simmer over low heat for about 10 minutes. I served these up with a Mexican Caesar salad and a nice Pinot Noir. 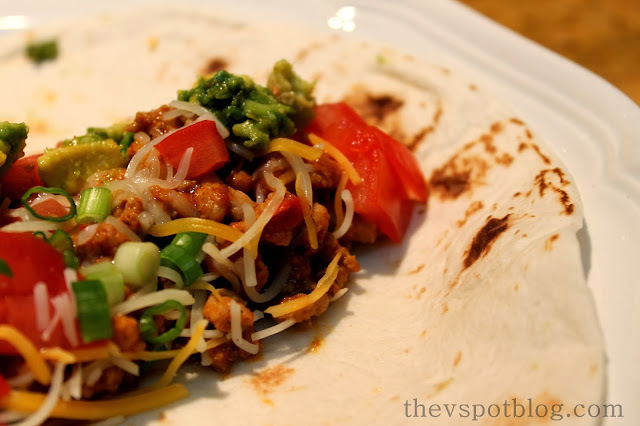 Nice twist on the usual taco. Can we expect to see your Mexican Casear salad too? Will try this soon, thanks. This looks absolutely delicious! We would love this and eat every morsal if I made it. This looks so yummy. 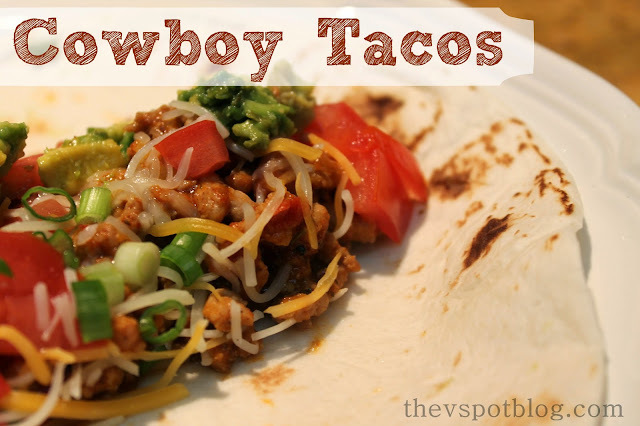 Making this week and sharing on my FB page for dinner! Looks muy bueno! Thanks for the yummy recipe!